3D printing technologies, introduced about 25 years ago in the industrial sector, have literally exploded in the last decade: first they reached the consumer market, and now are expanding their presence towards other sectors, such as education. 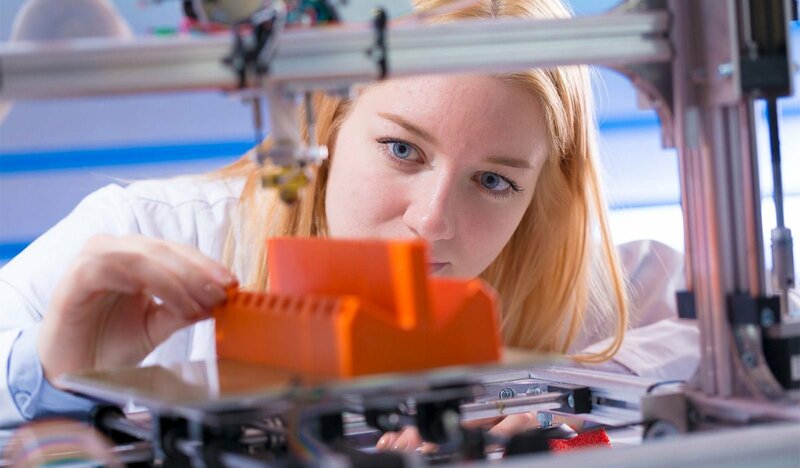 Although the influence of 3D printing in education is still small, the benefits it can bring to teaching are important and numerous. First, the use of 3D printing allows for practical experiments, conducted by students under the supervision of a teacher, in which results can be immediately touched by hand. For projects of this type it is necessary to use a CAD software (here are the best for schools) to design the objects to be printed; this type of software requires a base of mathematical knowledge, and leads students to put into practice the theoretical knowledge they have learned: the result is a greater involvement of the class, which is encouraged to put creative thinking and problem solving in action. Through trial and error, students can get to the to the final result. However, although the use of 3D printing in the education sector brings all the benefits we have listed, there is also a downside: keeping a 3D printer active requires to buy constantly new filament spools, and wrong prints need to be disposed. Since plastic is the main materials used for printing, the process has a significative impact on the environment. This is where Felfil Evo comes in handy, since it allows to reduce the environmental impact of 3D printing. Learn how students in Italy recycled plastic waste thanks to 3D printing! Felfil Evo is a small filament extruder that allows to recycle plastic waste and turn them into filament spools for 3D printers. It is a tool designed to be used by everyone, from experts to beginners; at the didactic level, it offers different possibilities for creating lessons designed according to the learning by doing teaching methodology. Felfil Evo is equipped with a tank, inside which it is possible to insert ground plastic scraps and/or virgin industrial pellets. Once the extruder is switched on and the two usage parameters (temperature and engine speed) are adjusted quickly, the material is pushed through the melting chamber and then comes out as solid filament and can be used with any 3D printer. With Felfil Evo 3D printing becomes sustainable. Students can afford to produce numerous test prints: once they have been collected and ground, the wrong prints can be transformed into new filament immediately ready for use under the supervision of a teacher or technician. In addition to being useful in the class, Felfil Evo can also be used profitably by laboratory technicians. Starting from plastic waste, chopped wrong prints or from industrial pellets, with Felfil Evo it is possible to create filaments of various types and with different materials, economically and with a considerable saving compared to the purchase of filament coils from traditional distribution channels. And contribute to protecting the environment in the meanwhile! The growing importance of themes such as climate change and sustainability needs to be examined in classes, since it has to a fundemental part of the culture of every individual. 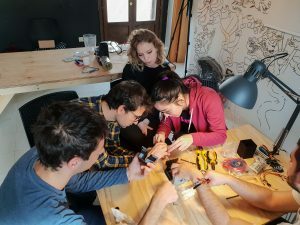 Felfil Evo fosters recycling and reduces the environmental impact of 3D printers: by using it, your students can learn how to turn waste into resources. For example, you can collect plastic bottle caps, chop and recycle them to create a new filament for 3D printers. Felfil Evo allows students to safely experiment with different materials. 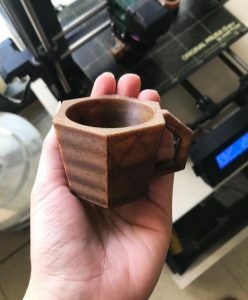 Besides being used in various types of research, in fact, Felfil Evo is great to start amusing experiments: it’s possible to make filament with plastic and … coffee, just like we did! Felfil Evo is also suitable for more technical experiences, and specifically to teach mechanical and electronic functions and to test the chemical and physical properties of plastics. The construction of Felfil Evo is entirely Open Source: on our site the project files are available in free download, and the software part is entirely managed through Arduino. We have adopted this paradigm because we believe in the value of the open philosophy, and we want to give anyone the opportunity to customize our extruder. Start using Fefil Evo in your school!